Effie Lewis is a full time instructor in the Dental Hygiene Department. 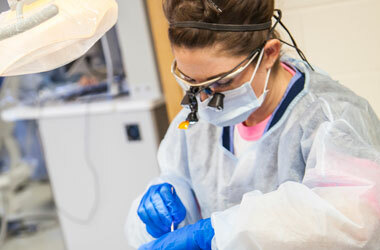 She teaches preclinical and clinical dental hygiene to dental hygiene students enrolled in the professional program. Her teaching responsibilities also include supervising dental hygiene students on rotations at the Northern Cheyenne and Crow Healthcare facilities. She team teaches Dental Materials class and oversees the labs. She serves as the advisor to the Student Chapter of the American Dental Hygienists’ Association and is a member of both ADHA and the Wyoming Dental Hygienists’ Association. Effie has provided quality dental hygiene services and nonsurgical periodontal therapy in various private dental practices. Prior to becoming a dental hygienist, Effie was a licensed expanded functions dental assistant.